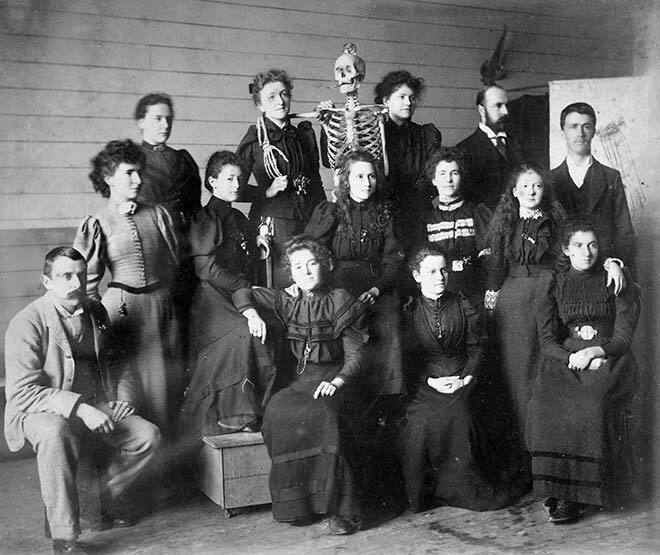 Photographed here are James Nairn (bottom left), Mabel Hill (standing next to Nairn) and Mary Elizabeth Tripe (back, embraced by skeleton). Nairn was the Wellington school’s founding teacher. Hill and Tripe would also teach at the school (Tripe was the first New Zealand-trained art teacher to graduate). Like most teachers of art at tertiary level, all three were also artists in their own right.